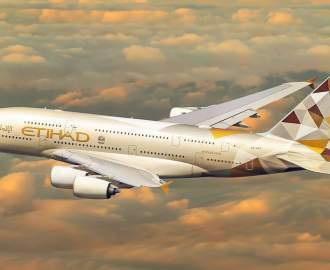 Break away from your humdrum haunts and meet the new kids on the block. If you've got to the point in life where your local Thai place is saved in your favourites, they know your order and you don't even bother changing out of your daggy trackies to go pick it up, congrats. You, lounge dweller, are living your best life. 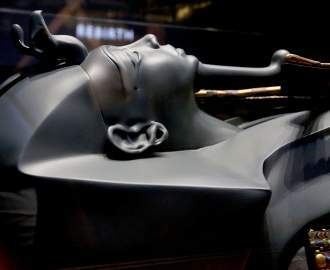 But there is an alternate life you could be living, involving less humdrum routine and more exploring; it's the life of stepping out and trying new things. Say "it's not you, it's me" to your usual Wednesday pad see ew and start making a list of what the city has to offer that's new and exciting. We'll even give you a headstart, in partnership with Zantac, we've pulled together a list of restaurants that opened in the last few months around Melbourne to try on your next night out. 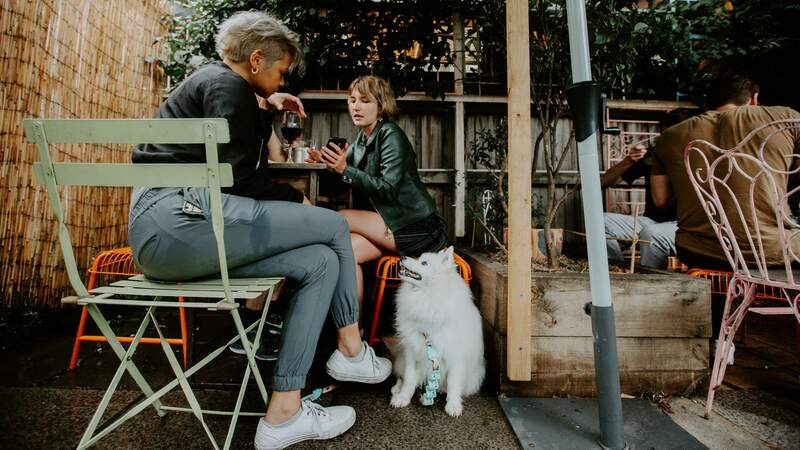 From top-notch noodle joints to a Mexican-inspired pizzeria and tequila bar, if Melbourne's restaurant scene was a dating app, you would never stop swiping. So, start now. 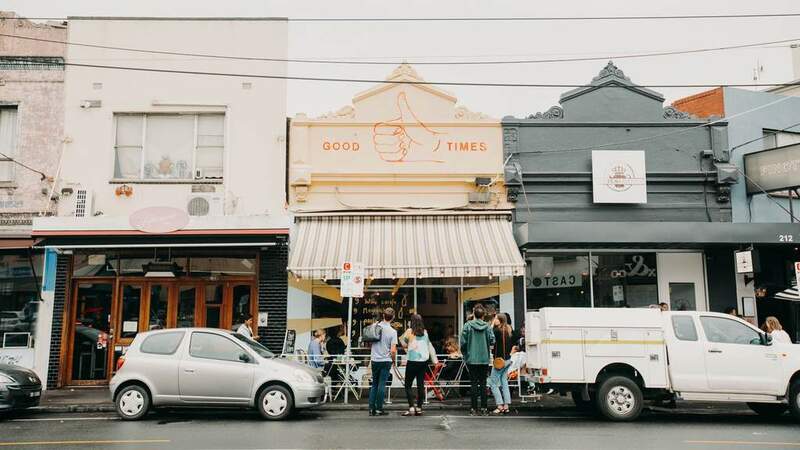 This laidback St George’s Road eatery is doing a bang-up job of living up to its name, with cheerful, honest dishes and a comfy, home-spun vibe. Here, it’s all about keeping things simple and, most importantly, fun. The venue is only open Friday to Sunday and it has zero in the way of a website or social media channels. The space has been stripped right back, too, lit by candles stuffed into bottles and featuring butcher’s paper-covered tables and glasses filled with golf pencils to inspire diners to unleash some creativity instead of whipping out their phones. From the kitchen comes a simple, produce-focused offering, where pasta is the star. You might tuck into a classic puttanesca or carbonara, or perhaps a bowl of fresh pipis tossed in white wine and herbs. A vegan ratatouille on rice is already a firm favourite, while platters of charcuterie, fruit and cheese are ideal for after-work drop-ins. Best of all, these good times are easy on the wallet — you’ll always find at least one $9 pasta in the mix, alongside $9 negronis, $9 craft beers and $9 carafes of wine. 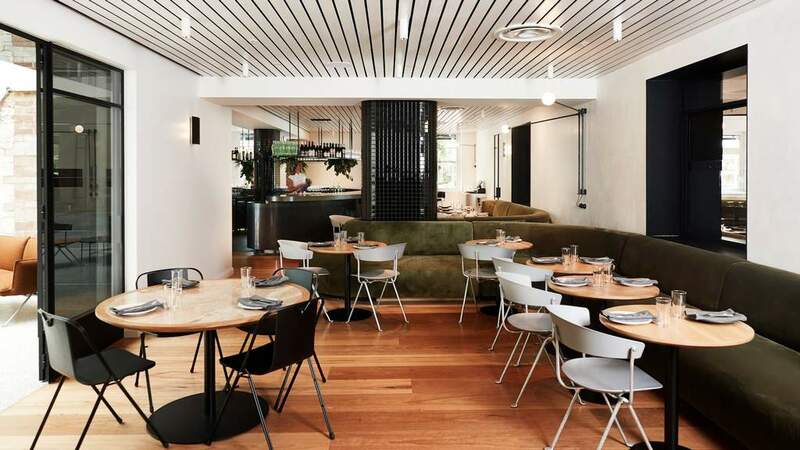 Chef Domenico De Marco combines his love of cycling with his love for his home country’s cuisine at this new Carlton North restaurant. Giro d’Italia takes you on a tour through Italy, much like the 100-year-old Italian bicycle race the venue is named after, with each dish on its menu representing a different region. After years of working at fine-dining restaurants, De Marco is taking a homely approach to his dishes, some of which reference his Nonna’s cooking. Focaccia is baked twice a day and comes out before the meal with a dollop of fresh tomato coulis for ripping and dipping. The calamari fritti is a stand-out, using the whole squid, and served with squid ink aioli, pickled zucchini and salad leaves tossed in a slightly spicy vinaigrette. A great plate to share as a starter, it’s also completely manageable on your own. Made-to-order tortelli are filled with pumpkin and served with a burnt butter sauce topped with crumbled amaretti biscuits. And desserts also hide much more than their fluffy, chocolate-covered exteriors first convey. The tiramisu, for example, might look like any other tiramisu, but De Marco makes everything from scratch — including the savoiardi biscuits and the mascarpone. 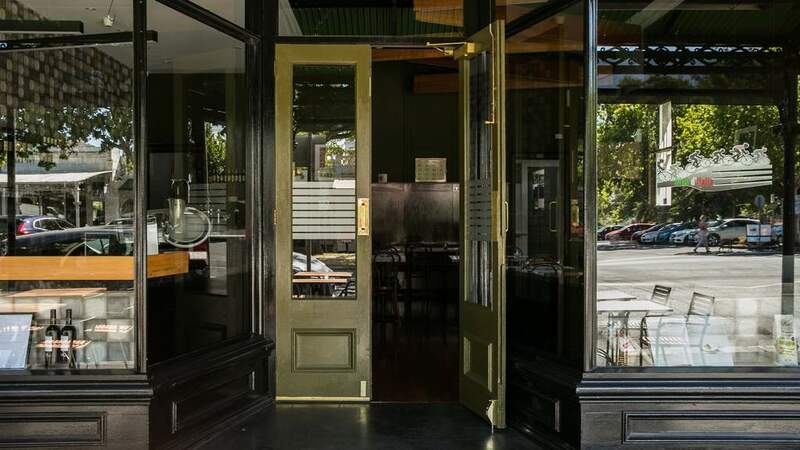 Located on the second level of St Kilda’s recently spruced-up Prince Hotel, Prince Dining Room has taken over the space previously home to Circa, which closed its doors in 2017 after 20 years. Here, the Mediterranean menu showcases local, sustainable and ethical ingredients from local markets, the St Kilda Veg Out garden and a network of producers, growers and fishermen. 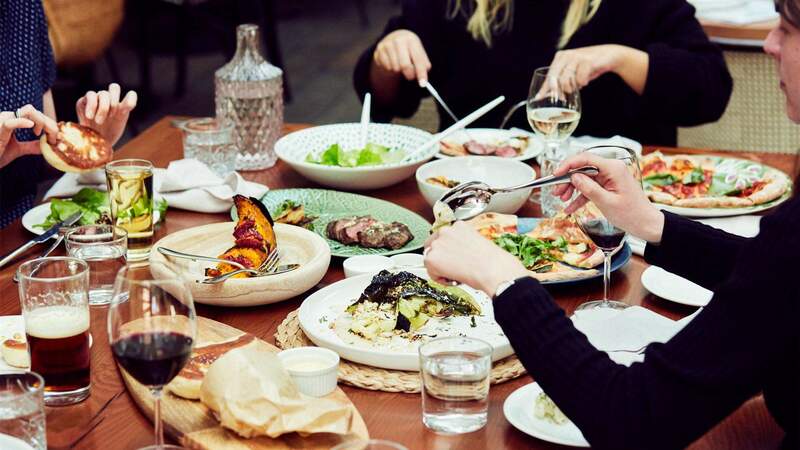 Make your way through a selection of skewers and flatbreads — like Flinders Island lamb with fermented chilli, and prawns with sesame, lemon and coriander — or a main, such as the woodfired turmeric chicken with pickled ginger, and add a bunch of sides. The lineup of smaller bites includes options like baby cabbage with prawn butter, and woodfired zucchini with feta, almond and ras el hanout (Moroccan spice mix). As you can probably tell from the aforementioned dishes, there’s an emphasis on cooking with fire in the Prince Dining Room kitchen. Though, cocktails do not use fire and are instead fruit-driven with colourful concoctions like the Jackie & Jess featuring grapefruit juice and thyme syrup, and the bourbon-heavy Louis Li a mix of Aperol, amaro and lemon juice. South Melbourne is home to a rejuvenated old mill that’s now dressed up in its finest as a multi-faceted venue, ready to service your every desire. Named because of the size of the block on which it sits, Half Acre is the latest from hospo stalwarts Adam Wright-Smith, Leigh Worcester and Asaf Smoli. Across its two buildings, it has an events space, bar and all-day eatery — and it’s a design lover’s dream. Modern design blends effortlessly with nods to the past, exposed brick and reclaimed timber complemented by contemporary finishes. At the site’s heart, a greenhouse-inspired space holds the open kitchen and restaurant, where Head Chef Eitan Doron is turning out a share-friendly offering that slips easily from lunchtime to night. Expect fare that’s approachable, yet elegant, in dishes like whole roasted cauliflower with dukkah and tahini, roasted pumpkin flavoured with blood orange and thyme, grilled king prawns with harissa oil, and a vanilla flan teamed with elderflower jam and almond tuile. A range of pizzas and house-made breads sail from the custom wood-fire oven, and you can watch (and smell) it all being baked from the comfort of your table. Chacho’s pairs something you love (pizza) with something you can learn to love again since that one fateful night in 2009 (tequila). At Windsor’s new pizzeria and tequila bar, the agave spirit is the big focus with scores of options on the menu that’ll have you acquiring a whole new appreciation for the Mexican drink. 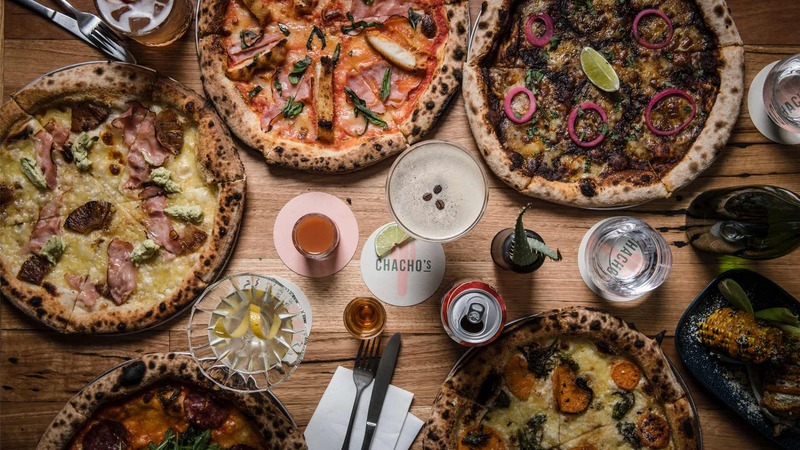 Helmed by ex-Lazerpig chef Dan Pegg, who certainly knows his way around a pizza, Chacho’s is all about making pies with love. Pizzas are built on 12-inch sourdough bases and come in all manner of non-traditional flavour combinations. The Del Toro is loaded with roasted onions, chorizo, corn and jalapeños, then crowned with a central ring of corn chips for dipping into guacamole and sour cream, while the Holy Mole riffs on the classic meat lover, teaming slow-cooked pork, coriander and pickled red onion with a Mexican mole sauce. The party vibes continue behind the Chacho’s bar, where a sprawling selection of tequila and mezcal is put to good use throughout a lively list of cocktails. You’ll find a swag of margaritas, both savoury and sweet, alongside even more tequila-based cocktails and tequila flights. And if you just can’t get enough, Chacho’s runs tequila masterclasses, too. ‘Stairway to Meat Heaven.’ No, this is not a terrible Bumble pick-up line. It’s what’s written at the bottom of the staircase that leads up to Swanston Street’s new barbecue joint, Cheek. This non-traditional meatery is inspired by a bit of everything — American, Chinese and Korean barbecue — and features a big, hefty dose of fresh Australian produce. 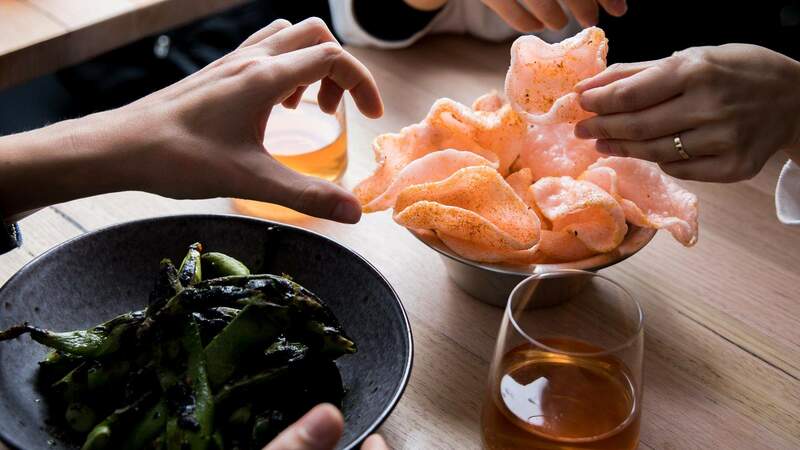 Opened by the Dexter team in the second half of 2018 and joined by cute cocktail bar and rooftop Peaches earlier this year, this no-rules barbecue joint presents Japanese dried powders, miso ranch, sweet and sour flavours of plum, yuzu and smoked hoisin all throughout the menu. Start off with the house-made meat bread — made by cooking bone marrow damper over charcoal — served with Cheek’s own butter. Or, order a round of the barbecue prawn crackers. Some options on the large-plate section include a half duck with smoked hoisin, a whole baby snapper and smoked short ribs with sesame caramel. And those looking for something smaller will find mapo tofu empanadas, sweet ‘n’ sour cauliflower and pork cheek with crisp skin and pickled apples. Wash it all down with something off the carefully curated wine list or opt for an inventive cocktail, like the PB Oldie with peanut butter bourbon and pickle juice. My Kitchen Rules winners of 2016, Tasia and Gracia Seger, have opened a brand-spankin’ new restaurant in the heart of Melbourne’s CBD. 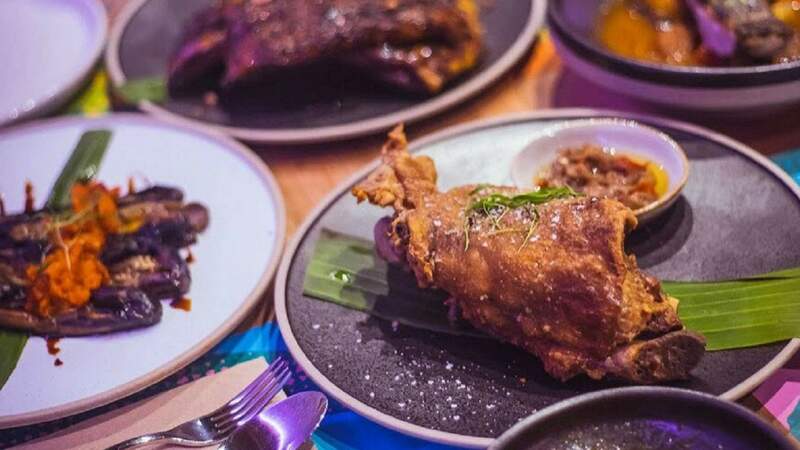 Situated on Collins Street, the sisters’ new venue Makan offers punchy Balinese and Indonesian flavours. The menu places some of your favourites — like nasi goreng and beef rendang — alongside a throng of innovative dishes. Sate lilit (Balinese fish) with lemongrass, galangal, coriander and pickled daikon is a good start, before moving on to braised oxtail, with green papaya, carrots and beef broth. There are large, meaty options and some tasty side salad choices, but our eyes are fixed on the dessert menu. Particularly, the black sticky rice with salted caramel cream, sesame nougatine and coconut and kaffir lime ice cream, or the banana brulee with chocolate ice cream, cheddar crisp and condensed milk chantilly. But if deciding what to order is just too much of a task, you can always opt for the Makan Time tasting menu for a selection of the chef’s faves at an easy $55 per person. Top image: Good Times by Kate Shanasy.